This engraved hearts glass block is an ideal gift which can be personalised for your wedding guests, or as a present for someone you love. The hearts glass block is supplied in a gift box. 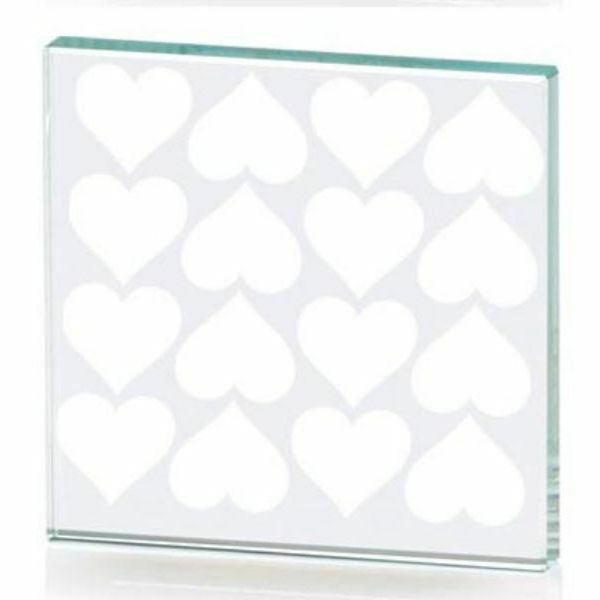 The hearts glass block is approximately 4.5cm square and 0.5cm thick, and is also available in larger sizes. The postage rate for the engraved hearts glass block is band A, but buying multiple glass blocks will increase the postage to band B.